Hope you are all well, I am writing this post up as a sort of ‘dissertation break’ I know, I know, not a real break because I am STILL writing, and you would think, why the hell would you want to write any more words out Kayleigh than you already are? (edit: I have handed it in now YIPPEEEE) But honestly, it really is lovely and refreshing to type, and not really think about what I’m writing all too much, so here we are. (Naysmith, 2016) – yes, I just referenced myself, got to keep kind of in the dissertation spirit huh? Today’s post is one that I have been meaning to write up on Very Berry Cosmo for literally MONTHS. I’ve started this post many times too, and I could just use one of the versions that are already in my drafts, but now being on this medication for about 5 months now, I feel I can finally give you a proper ‘my experience post’. As a like ‘disclaimer’ and I am sure I don’t need to explain to you all that, I AIN’T A DOCTOR, and you need to consult a medical professional before you consider taking any anti-depressants, you may react differently to this medicine to how I do, so just keep in mind, that this is simply MY experience. For me, medication really was a last resort. I put off even the idea of even attempting to give it a go for well over a year actually. Even though the doctors and my therapist kept insisting it would be a good idea. I just didn’t want to pump something else into my body, because to this day, I still think the pill / and implant is half to blame for my sudden Obsessive Compulsive Disorder outburst. TOO MANY HORMONES. Final year at University has been a really big test for me, it has put me through anxieties and stresses that innocent little 18 year old me, (before I started Uni) even knew existed. But that is a story for another day. In December 2015 I was having all sorts of OCD ritual troubles, fixating on to do lists all too much, letting them take over my life basically. Lots of self-hate and anxieties if I didn’t achieve enough on my lists each day, resulting in unnecessary panicking, and thus, not getting an awful lot done. It made it really hard to complete my University studies. Breaking down and crying with my University tutors on a weekly, if not daily basis was getting all too much, I was beginning to not remember a day where I hadn’t cried, which obviously isn’t healthy – it meant it was time to go to the doctors and ask to give medication a go. Fluoxetine is a SSRI, basically a fancy name for an anti-depressant and you may hear it being called Prozac or Sarafem. Usually prescribed to sufferers of Obsessive Compulsive Disorder, Bulimia, or Bipolar, rather than anxiety or depression. I call them my happy pill, because that is essentially what they are there for. So, I took them home, was very anxious about taking them, read the pill pack and leaflet like a squillion times, even contemplated not taking them at all. THOSE LEAFLETS ARE SCARY MAN. But I wanted to get better. I wanted to smash my final year. So I began taking them. As the doctor said, the first two weeks you might feel rather queasy, and OH I DID. I couldn’t eat an awful lot without feeling sick, which wasn’t too pleasant, as you can imagine. I was also pretty much knocked out for 2 weeks also, having RIDICULOUS amounts of sleep, which really didn’t benefit my 3 week University deadline extension to the max, so really do consider what you have going on before you start taking an anti-depressant. I was grumpy, I was tired, but I couldn’t sleep? Do you know how horrible that is? I couldn’t concentrate on anything, making the one reason I went on this medication really hard. TO GET ON WITH MY UNI WORK. Sleep is a human NEED. You need sleep to function, you need sleep to heal, you need sleep to feel happy, and not anxious. How ironic of an anti-depressant huh? However, one thing I noticed was that I didn’t really perform my rituals as much as I used to, and I would notice that day if I hadn’t taken my pill yet, because I would start doing too many door checks, and hand washes, so this medication I feel definitely does what it is supposed to, in that sense. I JUST WANTED TO BLOODY SLEEP. After lots and lots of trips to the doctors… (they check up on you a lot on this medication, and I will explain that why later) We kept saying, let’s just try another month? It might not have kicked in yet…. So that is what we did. That was all great and everything but by February I was getting really TIRED of not being able to sleep. I love my doctor by the way, she understands me, and I really appreciate everything she has done for me this year. The trouble was, 2016 didn’t start off too greatly. It hasn’t been too kind to me (It is on the up though!) and as much as I wanted to change medications, my doctor just wouldn’t let me. She didn’t think I was stable enough. When you switch medications, you would have another 2 weeks – a month of “waiting period” where I would be without anything, which at that moment in time, just wasn’t an option. I balled my eyes out constantly for a good solid week after my break up in January, I don’t even want to imagine AT ALL, what I would have been like if I wasn’t taking this medication at that point in my life. That’s the thing now. I can’t cry. I feel emotionless most of the time. Something has to be really really awful for me to even shed a small tear. I have my times where I am like ‘I should be crying now’ because I feel that down and horrible, but the tears just don’t seem to come out at all. I feel numb, it feels weird. I don’t particularly like it, but I used to cry everyday at University so I guess it can only be a good thing. So that was it, I was stuck in this horrible position where I wanted to be able to sleep, but also to feel ‘better’ and not anxious. It just wasn’t getting any better, I tried to do more things each day that would tire me out, little things like going for a wander into town, do some Uni work in a different environment than home. Nope. Everything seemed to not want to work. My sleeping was still awful, and it reached around March where I was like I HAVE HAD ENOUGH. I went back to the doctors and she agreed that the insomnia effects shouldn’t still be occurring this far into taking the medication. We agreed that I would change medications, BUT then just wasn’t a good time, because I was on work experience at Penguin for the next two weeks, and I wanted to perform my best, so it just wouldn’t be a good idea! Penguin. Oh Penguin. I feel like you have saved my life? It was a brilliant opportunity and eye-opening experience into the publicity industry. It was one of the most tiring experiences of my life. And yano what. I WAS ABLE TO SLEEEEEP. Like an average person, or even more than that! I would crash at about 9pm at night, and if you know me, that is just TOTALLY out of character. It was amazing! My sleeping has been on the improvement ever since, which has meant I haven’t had to change medication which is FANTASTIC. The thing about medication that makes me feel a bit uneasy and uncomfortable at times is the fact that it makes you ‘feel better’ which yes is brilliant, but it just makes me wonder what I am going to be like when I come off them. I don’t want to spiral backwards, I do hope I can start weaning off them them just after University, we will see – that might be a post for another day! Hope you found this post interesting, I am 100% not saying you should take medication, or NEED to, to get through your mental health problems. They are not for everyone. I think they are a brilliant last resort, and yes they have caused all too many problems than they should have, but I really don’t think I would have made it through my current 2016 without them! Like I previously said, you might have wonderfully sunny experiences with Fluoxetine from the word go, but it is worth considering the fact that you might not. This medication certainly isn’t for everyone, they don’t really let you go on this unless you are over 18, because of the side effects, however they do let some people go on it if they REALLY need it. The medication sometimes has the tendency to cause suicidal thoughts, particularly to younger consumers. This isn’t nice, and the complete opposite to why people even try anti-depressants, but it is the reason that the doctors keep such a strict eye on you in the first few stages. If you do experience any thoughts like this, DO see a doctor straight away. Bob me an email or Twitter DM if you would like any more information about this medication, and I will do my best to help you out! Next Post LIFESTYLE | I’ve Completed My Dissertation! 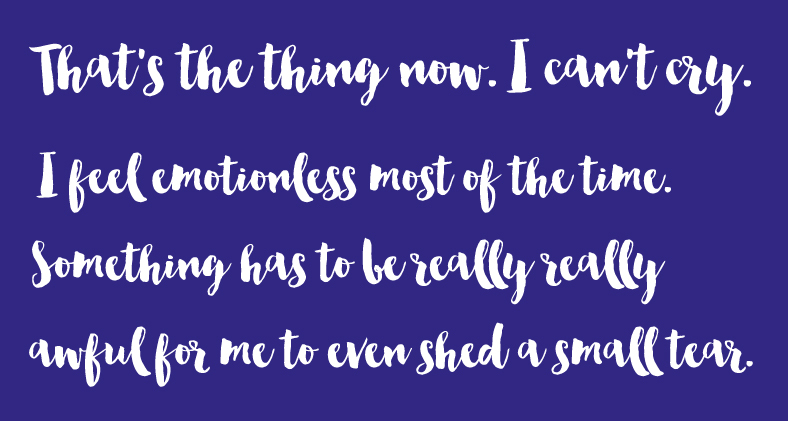 I'm on them still and the first couple of months was hard – I felt like I was on a hovercraft and lost emotion. I didn't sleep well and lost appetite but now I'm thankful that it's calmed down and I can have a positive outlook. Try out other methods first, but sometimes medication can help if things are not progressing – my GP saw me several times over a short period of time to the point that even after signing me off work for stress wasn't helping, that's when I went on them. I had the same thing on them. I tried about five different types of SSRI and now refuse to take them. 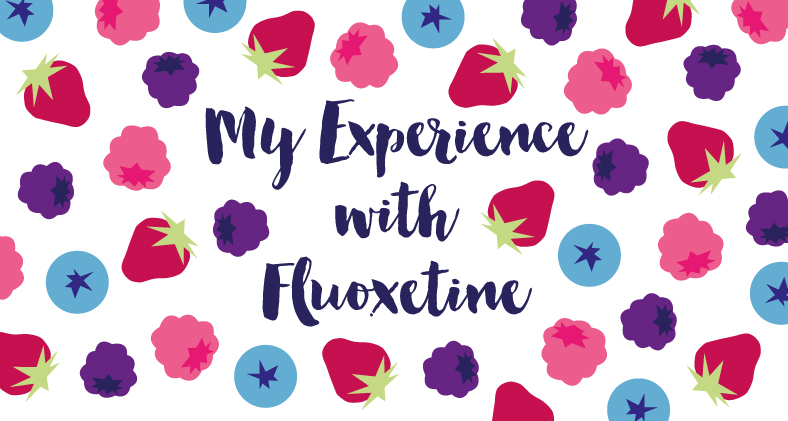 I know they work wonders for some people, but on me some did nothing, some made me signifantly worse – Fluoxetine was sort of neutral for me, it made me completely emotionless. Which worked in the sense that I didn't get sad anymore, but I also didn't get happy, which made it worse for me! I've been on fluoxetine for 2 years now, I still suffer from insomnia and I'm emotionless too, unless it's a film or a song. So glad to hear your sleeping has gotten better!!! I had to stop taking my antidepressants because I had so so many of the same side effects as you, Such a great post which will definitely help other people! Well done on battling through all them horrible side effects! 🌟 Also well done for pushing through and finishing your final year and dissertation!! Thank you for sharing your experience – it's interesting to read how others have experienced this medication. I got prescribed Fluoxetine back in early 2015 for depression. Luckily I didn't suffer any side effects, but I wasn't sure if it made much of a difference however my partner said he could see the difference and that I seemed happier in myself. I actually stopped taking it about two months ago – 1) because I ran out (woops) and 2) because we'd like to start trying for a baby soon, but I was told I'd have to come off this medication. Now I know I shouldn't have just stopped taking it, I think my head was just in a silly place and I thought it'd be okay. Hubby thinks my mood has changed again, so perhaps a trip to the docs is needed…wish me luck!